Buyucoin is the first and foremost online platform in India for the exchange of Bitcoin and altcoins. It gives the users a great experience of effective trading. It creates a link between the world of internet and the crypto currency users so that they can be able to exchange their valuable crypto currencies. It simply permits millions of Indian users to have crypto currencies in their pockets. 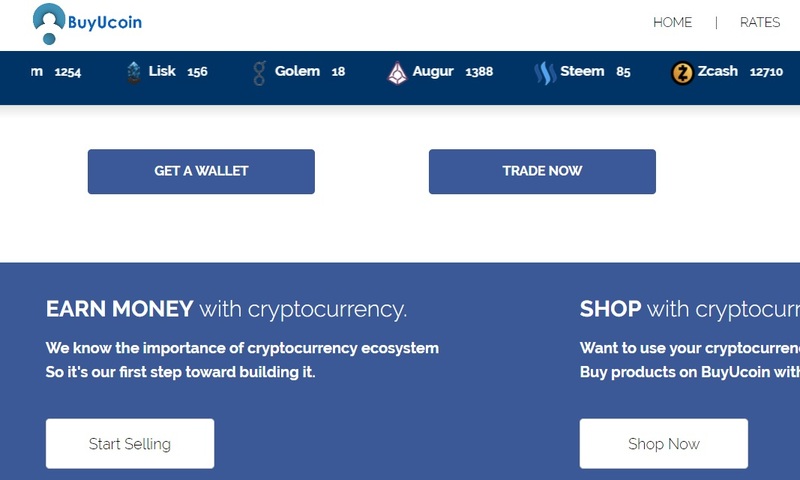 BuyUCoin offers a unique wallet, which lets the users perform trading (buying or selling) of 18 different types of tokens, altcoins and crypto currencies such as BTC or Bitcoins, LTC or Litecoins, BCC or Bitcoin cash, ETH or Ethereums and so on. The outputs of such trading will be usually in INR or Indian Rupees. Recommended Articles: Zebpay Review, PocketBits Review, BitXOXO Review, Koinex Review. The major currency involved in this platform is the bitcoin, which is nothing but a type of digital currency. The competitors of BuyUCoin include Coinigy, Bitso, and Coinsecure and so on. When a user wishes to withdraw Indian rupees to his bank account, he must raise a wallet page request. After that, needed to enter the withdrawal amount. It was founded in 2016 by three bitcoin enthusiasts. It contains a user base of around more than 15,000 and transactions of around 60,000. Shivam Thakral is the Founder as well as the Chief Executive Officer (CEO) of this platform. Kanishk Agarwal and Devesh Agarwal are the two co – founders along with Shivam Thakral. Trading (buying or selling) or shopping. It is very simple and is easy to register and use. It ensures safety and security to the crypto currencies holded by the traders. It offers a distinct wallet that is used for the storage of crypto currencies. It delivers the best rates in the crypto currency market. The users of this platform can be able to deposit or transfer funds at any instant of time. It does not impose any charges upon the usage and transactions. It avoids hacking of a user’s account by some other users. It allows transactions (withdrawal of funds) at a high speed. The users can make use of a professional support team, which is responsible for solving the users’ queries. It offers several referral programs, through which the users (traders) can earn an extra income. E – mail id verification. Normally, the verification process will take less than one working day. Email id: support@buyucoin.com, Telephone no: +91 8979293529, +91 8299878732. Address for communication: 44 – D, Metro App Sector 71, Noida – 201301. XYO Network ICO Review: What is XYO Network?